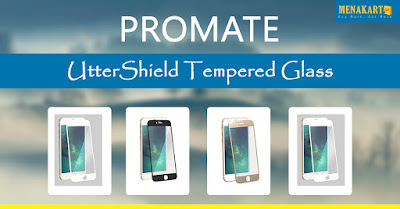 Promate utterShield-iP6P: Ultra-tough high density tempered glass screen protector for iPhone 6 Plus. Quality Material: Optical graded PET film enhances the colour and protects your eyes. Super Thin Material with Durability: The surface has a hardness of 8-9H, five times stronger than regular glass. Strengthened Dragontrail™ Glass: Made of high quality Dragontrail standard glass.